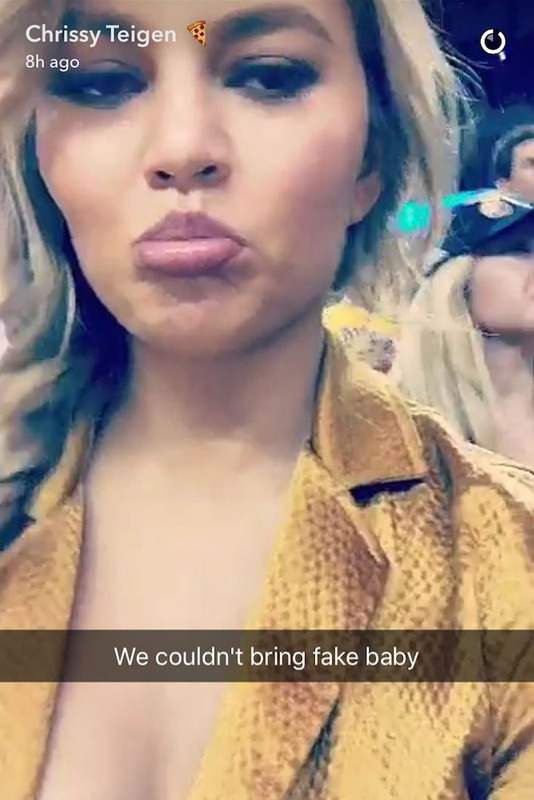 Last night, John Legend and Chrissy Teigen posted some adorable snaps and Instagrams from the NBA finals, where the happy family watched the Golden State Warriors go up against the Cleveland Cavaliers. 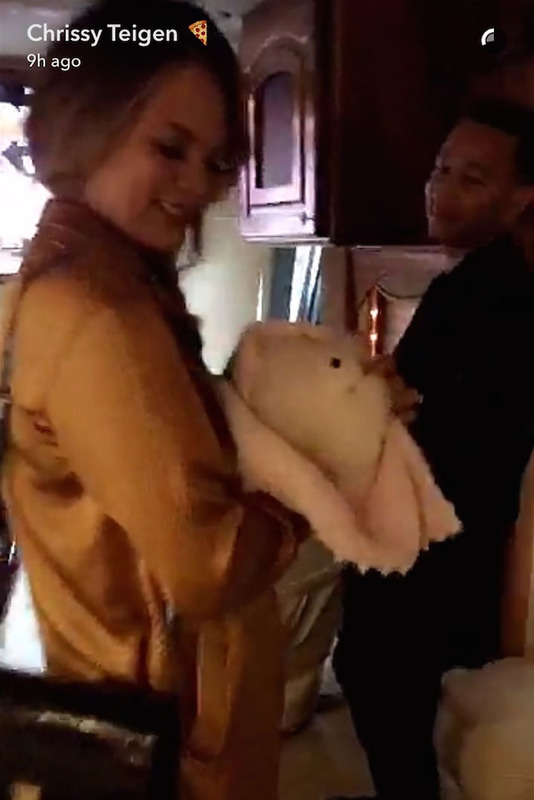 According to John Legend’s Snapchat, their new baby Luna was even there . . . or was she? While John’s story shows a glowing Chrissy holding her little bundle of joy, Chrissy’s Snapchat has something a little different. So here’s what happened. 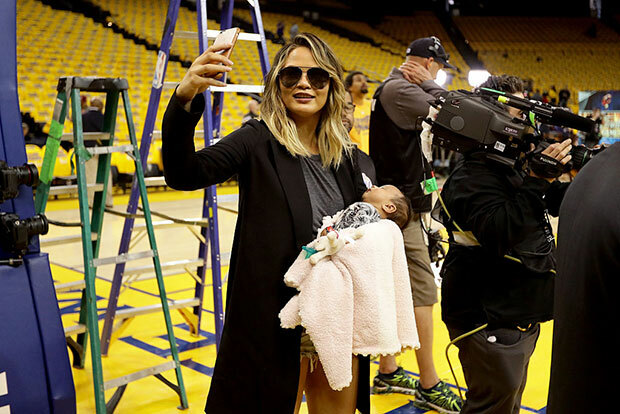 According to Entertainment Tonight, Chrissy Teigen brought both baby Luna and a decoy baby to the game, because she’s just that crafty. During the actual game, Luna was kept out of the craziness, living it up in the VIP suite. Don’t worry, though, she caught the sound check of her dad’s performance before hustle and bustle of the game began! 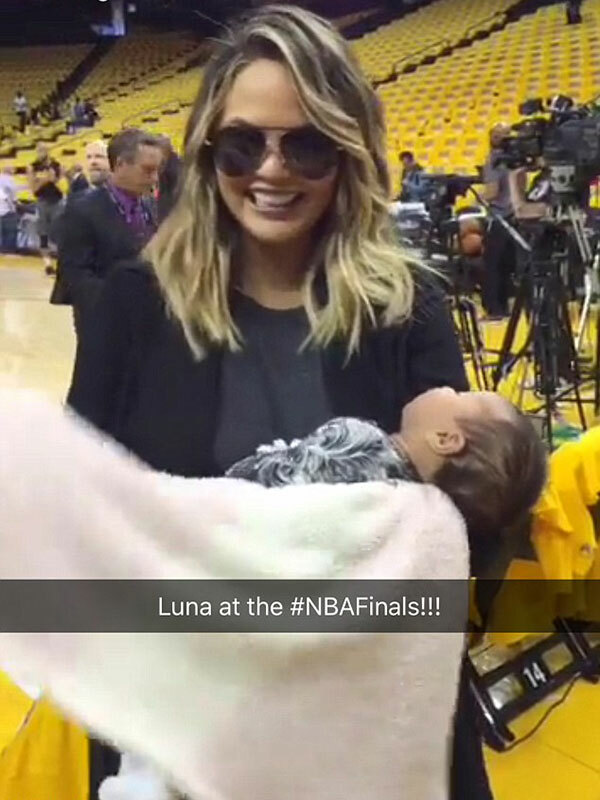 But while Luna slept, Chrissy did try to bring a decoy baby out onto the court to see how people would react. Yep, that’s Chrissy rolling up a stuffed animal inside of a baby blanket. “Twitter is gonna get so mad,” she said. Chrissy is referring to the crazy amount of backlash she’s received since becoming a new mom for everything from going out to dinner to her outfits. Apparently, she figured if she was going to get shamed no matter what, she might as well have a little fun. Whether they’re hitting the town alone or taking a family trip, the Teigen-Legend family is living their best life, and we’re so happy we get to be there every step of the way.